You are here: Home / Blog / Food Swaps / Is Your Thyroid Needing Help? Is Your Thyroid Needing Help? Dis-ease begins in the gut – and in the adrenal/thyroid axis. I often talk with clients who feel in a funk. Their energy is waning. They feel cold. Their hair is thinning and skin is dry. Stubborn weight creeping on and brain fog further dampens life. Low thyroid drags cellular metabolism down and affects every cell in your body. It’s like trying to run a high-end car on low-octane gas. Frustrating! When you ask your doctor about potential thyroid issues, it is common for a TSH test to be ordered. This measures the level of Thyroid Stimulating Hormone, but it is actually a brain hormone secreted by the pituitary gland, not a measure of the thyroid. The thyroid secretes primarily T4 hormone which is converted to T3 in the liver and kidneys. When there are signs that thyroid hormones aren’t working optimally, a T4 medication is often prescribed. This works for some, but for many, the hitch is with the conversion to T3 – the active hormone. If the liver or kidneys aren’t functioning well, they may not convert well … or if you are highly stressed, your body may be converting to Reverse T3 (a storage form). 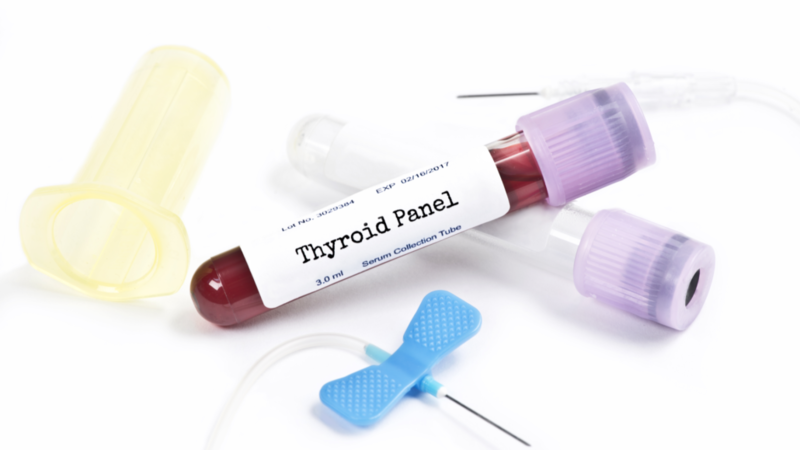 If you feel that your thyroid may be challenged, ask for a full thyroid panel, which includes Free T3, Free T4, Reverse T3, TSH, and Thyroid Antibodies. With this information, you (or your health coach) can better determine where the hitch is. Once you know where function is falling short, you can support initial improvements with some simple nutritional adjustments. Low Free T4 – explore whether you are eating sufficient protein, which provides tyrosine for production of the T4 hormone, provided you have sufficient levels of stomach acid to aid in breaking apart the nutrients in food you are eating. Consider adding Kelp Sprinkles to your foods to provide low-level iodine to boost that nutrient supply. If you are an active swimmer, your exposure to chlorine may hinder your absorption of iodine, requiring stronger support. Low Free T3 – good conversion of T4 to T3 is dependent on your liver and kidneys functioning well, and having a good supply of iron, zinc, Vitamin A and selenium. You can check your iron supply by asking your doctor to test your ferritin level (iron storage). There is a difference between having enough not to be anemic, and having enough for conversion. If you are a vegan or vegetarian, you likely have more copper in your receptors, blocking access to zinc. Eating a low-fat diet, or being diabetic, can hinder your access to Vitamin A. Boosting selenium can be as simple as eating 4-5 Brazil nuts daily. I’ve written recently about stress and its effect on your body. One of those effects is prompting more conversion of Reverse T3, which is not able to be used for better metabolism. Reducing your levels of stress really is vital for life. If your full thyroid panel shows elevated thyroid antibodies, your doctor will likely diagnose you with an autoimmune condition – Hashimoto’s or Grave’s. In this situation, I would encourage you to seek a Functional Medicine practitioner who is better equipped to help you support your body to put this condition into remission. I’ve been where you are, with hypothyroid function that was not recognized by my doctor. I had to research and advocate for myself. With what I learned then and my Functional Medicine training, I can help you come out of the fog and discover how good you can feel again. Don’t suffer … reach out to me! http://www.pursuewellnessforyou.com/wp-content/uploads/2018/09/thyroid-.png 1080 1920 Kelly Lutman http://www.pursuewellnessforyou.com/wp-content/uploads/2018/12/logo_lg-2.jpg Kelly Lutman2018-09-11 05:42:152018-12-31 06:25:31Is Your Thyroid Needing Help?